Time for a physics lesson. I picked up a little 3″ diameter concave makeup mirror and looked at myself up close. It enlarged my image and looked upright. I extended my arm slowly while looking at myself and noticed my image got bigger and blurry. 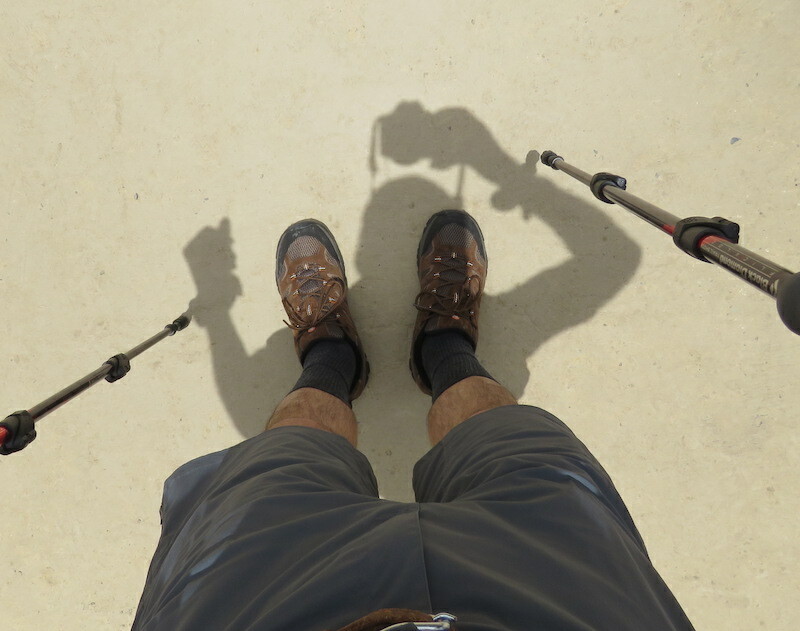 As I moved the mirror farther, my image inverted and started to get smaller again. I wondered how my image would look if the mirror was across the room. I stood it on the mantle in front of the clock. I was barely visible. I’ve been enjoying the book Endurance by Astronaut Scott Kelly. He tells of his life before becoming an astronaut and of his year in space aboard the International Space Station from March 2015 to March 2016. 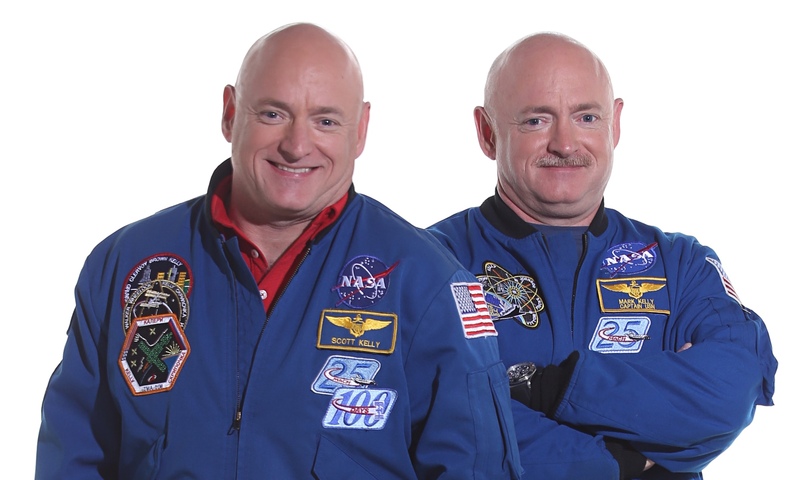 He and his identical twin brother Astronaut Mike Kelly were studied extensively to see the effects of long duration space flight on the human body. This study is an important one for the planned trip to Mars. The Twin Study is ongoing. Here are some of the latest articles about it. 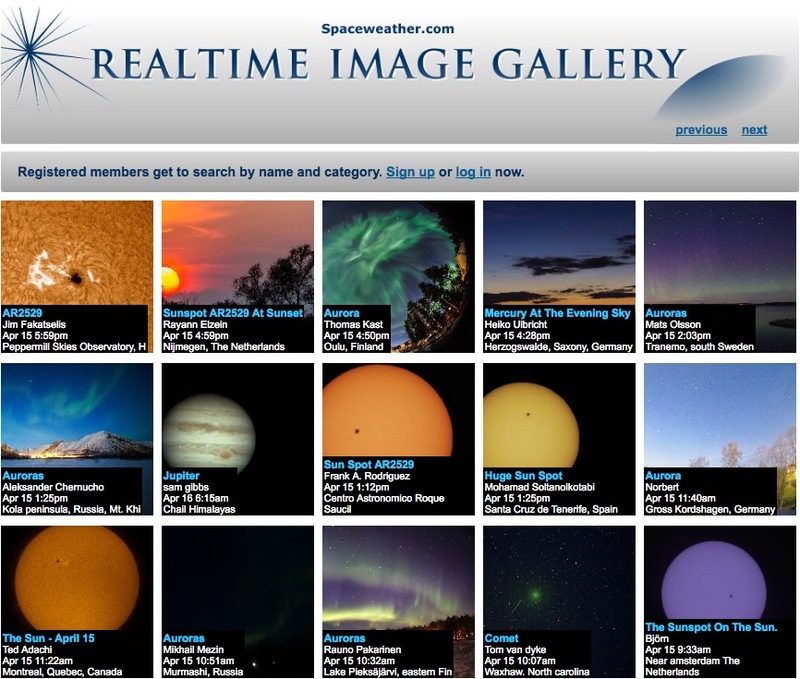 The book provides countless behind the scenes looks at the lives of space explorers. I highly recommend the book to the space enthusiast. Part of Kelly’s duties now include travel to stores and special events to promote the book. My son attended a book-signing event near him and bought a copy for me. Kelly was invited to Talks at Google on 24 Nov 2017 where he spoke for about an hour about his experiences. You can watch his talk at this link. 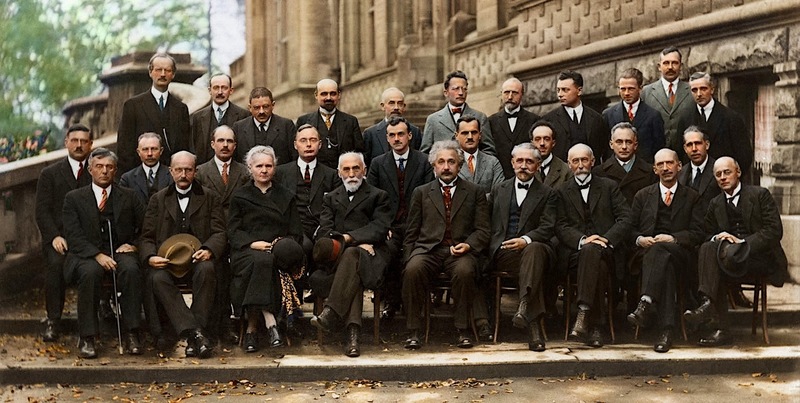 I am a strong believer that we humans are capable of amazing and wonderful things. When we set our minds to a goal and work together, we can accomplish the most difficult of tasks. As Scott Kelly ended his talk, he spoke of how he feels about the potential of mankind. This is exactly how I see it. 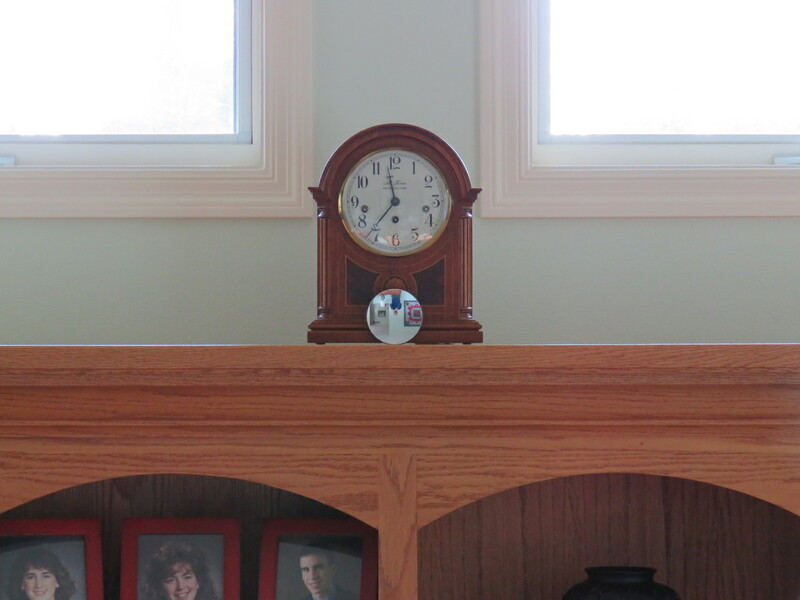 A prism of high quality glass sits in a south window above our mantle. It is part of a surplus optical instrument from WW-II. 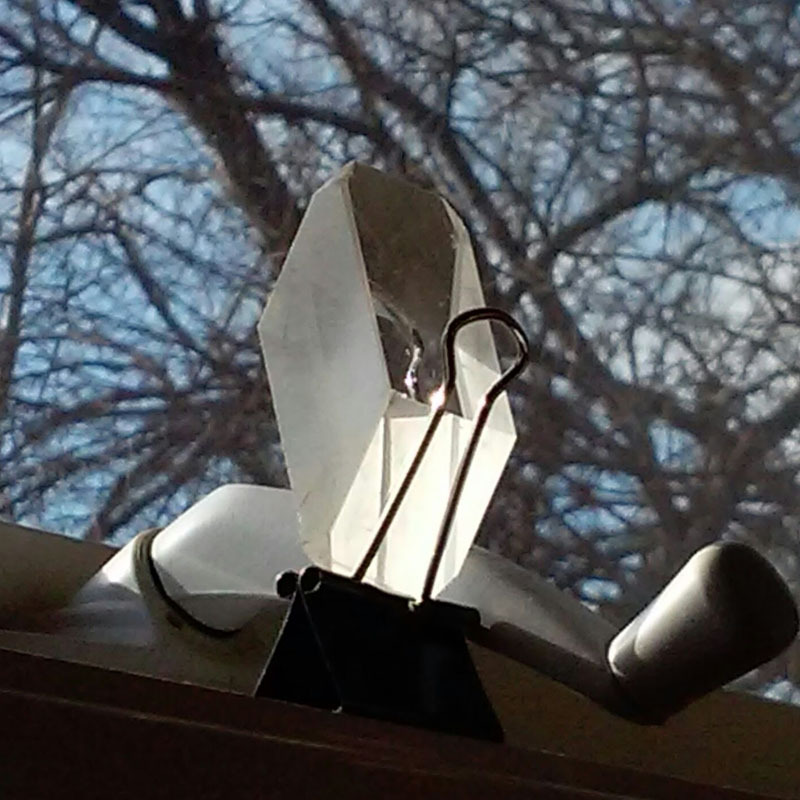 The window crank gives a sense of its 2″x1″x1″ size. 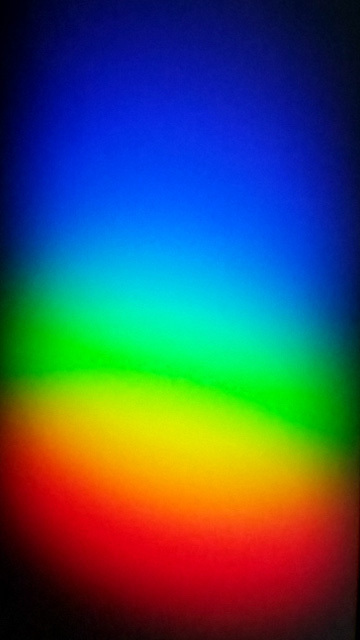 When the Sun is low in the sky during late fall and winter, light through the prism casts a large full spectrum on the wall on the opposite side of the house. This is a closeup of the spectrum. It is always a delight to see the colors move slowly across the wall during the middle part of a sunny day. Astronaut twins Mark and Scott Kelly participated in a study conducted by ten researchers on the effects of long duration space flight. Scott was aboard the International Space Station for 340 days while Mark remained on Earth. Scott returned to Earth 1 March 2016. For details about his return, read this previous post. Ten researchers reported preliminary results on 23 Jan 2017 in Galveston TX of their comparative studies of the twins. The NASA issued statement is here. I’ll attempt to summarize eight of their findings below. Our home has many can-light ceiling fixtures. We replaced the original incandescent bulbs with CFL in many of them and noticed some cost savings on our electric bill for several years. More recently we added some LED style. Bulb costs, duration of use, and total cost of use are some of the quantities tabulated in the chart below from wikipedia. I don’t know how recent are the values. But, they illustrate the cost savings with LED. With LED costs coming down, the savings is improving. The main problem with an incandescent bulb is that about 75% of the energy needed to operate it is wasted as heat energy to the surroundings. Only about 25% goes toward making light energy. The CFL and LED bulbs convert a much greater fraction of their operating energy into light energy. As a result, they need less electrical energy to produce the same light output as an incandescent.